Sometimes when people create a Linux USB drive they find that the drive seems to become unusable. This guide will show you how to format the USB drive again using Linux so that you can copy files to it and use it as you ordinarily would. After you have followed this guide your USB drive will be usable on any system capable of reading a FAT32 partition. Anybody familiar with Windows will notice that the fdisk tool used within Linux is much like the diskpart tool. This will tell you which drives are available and it also gives you details of the partitions on the drives. In Windows a drive is distinguished by its drive letter or in the case of the diskpart tool each drive has a number. In Linux a drive is a device and a device is handled much like any other file. Therefore the drives are named /dev/sda, /dev/sdb, /dev/sdc and so on. Look for the drive which has the same capacity as your USB drive. For example on an 8 gigabyte drive it will be reported as 7.5 gigabytes. Replace the X with the correct drive letter. This will open a new prompt called "Command". The "m" key is very helpful with this tool but basically you need to know 2 of the commands. Enter d and press the Enter key. If your USB drive has more than one partition it will ask you to enter a number for the partition you wish to delete. If your drive only has one partition then it will be marked for deletion. If you have multiple partitions keep entering d and then enter partition 1 until there are no partitions left to be marked for deletion. The next step is to write the changes to the drive. Enter w and press return. You now have a USB drive with no partitions. At this stage it is completely unusable. As before replace the X with the correct drive letter. You will be asked to choose between creating a primary or extended partition. Choose p for primary. The next step is to choose a partition number. You only need to create 1 partition so enter 1 and press Enter. Finally you need to choose the start and end sector numbers. To use the whole drive press return twice to keep the default options. A message may appear stating that the kernel is still using the old partition table. The partprobe tool informs the kernel or partition of table changes. This saves you having to reboot your computer. There are a couple of switches you can use with it. The final step is to create the FAT filesystem. Replace the X with the letter for your USB drive. As before, replace the X with the correct drive letter. 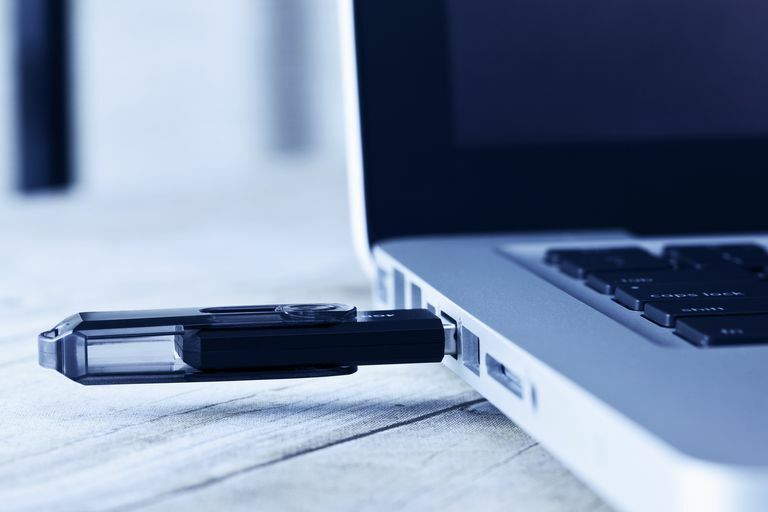 You should now be able to use the USB drive on any computer and copy files to and from the drive as normal.